After years of pending litigation with the City of McAllen, Gamehaus Gastropub will close by the end of December, court records show. The city and Gamehaus reached a settlement agreement, which will require the popular restaurant and bar on Nolana Avenue between Bicentennial Boulevard and 23rd Street to close by the end of 2017. “Gamehaus Gastropub is commanded to cease owning, operating, or managing any bar or restaurant on and after Dec. 31, 2017, at 2109 West Nolana, McAllen, Texas,” court documents read. This settlement agreement will end a multi-year dispute between the city and Gamehaus. “Despite the strong merits of our case, the four years and ongoing burden of legal fees and risk of a pending trial against the weight of the city has forced us to make a difficult decision to close the venue,” Seby Haddad, a local banker and an owner of Gamehaus, said in a written statement. “This will sadly eliminate close to 50 jobs and be a huge loss in tax base to the city we invested in and strongly supported. A large component of the clash between the city and Gamehaus was the residential complex behind the establishment. Kerria Square, owned by Verturo Realty, sent a note in May 2016 to its tenants to participate in a McAllen Planning and Zoning meeting later that month to discuss Gamehaus’ conditional use permit. 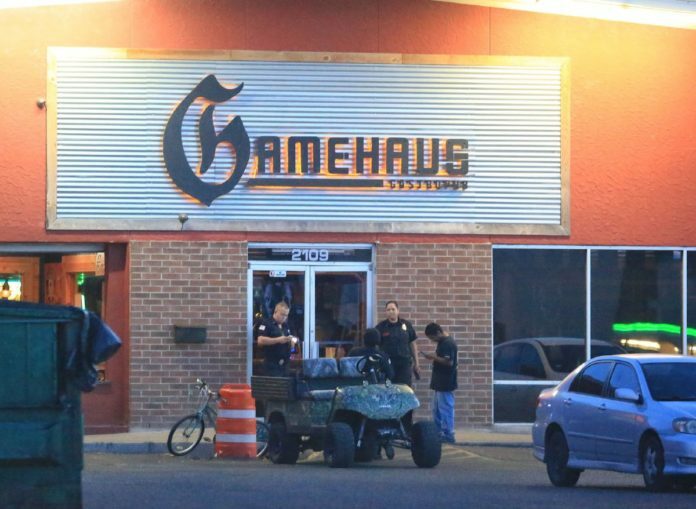 The determination of whether Gamehaus was a restaurant or bar presented problems, as the establishment argued it was a restaurant, citing that food represented more than 50 percent of its sales. The city thought otherwise. Some argued it was a hybrid of a bar and restaurant, but the city does not precisely produce those kinds of permits. While the end of Gamehaus is near, Haddad and other partners from Gamehaus have a new operation in motion: a local microbrewery. In May, city commissioners voted to give an incentive package, or a “380 agreement,” to that local microbrewery on North 10th Street. District 5 Commissioner John Ingram was the lone commissioner who voted against giving the incentives. The agreement offers $215,000, almost entirely for infrastructure — street access, drainage, utilities, paving costs and lighting. This agreement requires a certain level of sales tax generation, “which would ensure the city recoups and gains from its investment through a successful public-private partnership,” Haddad said. “Should the business fail to meet the threshold at any of the audit periods, it is required to write a check and pay back the city,” Haddad added. The master plan for the concept had been developing for years, according to Haddad, and had been discussed with the McAllen Economic Development Corporation and city for about a year. The microbrewery will be located near the intersection of North 10th Street and Wisconsin Road. It will feature on-site brewing as well as a large selection of craft and micro-beers and a full bar, Haddad said. Documents read that it will be a “14,000 square-foot microbrewery restaurant and entertainment consisting of 8,000 square feet of air-conditioned space and 6,000 square feet of exterior patio space.” Haddad said the opening date will likely be late winter 2018.